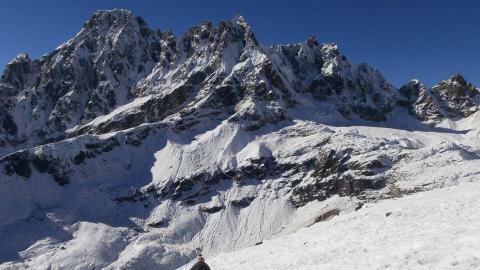 Helambu Trekking is an easy and best trekking in the Nepal Trekking Vacation. 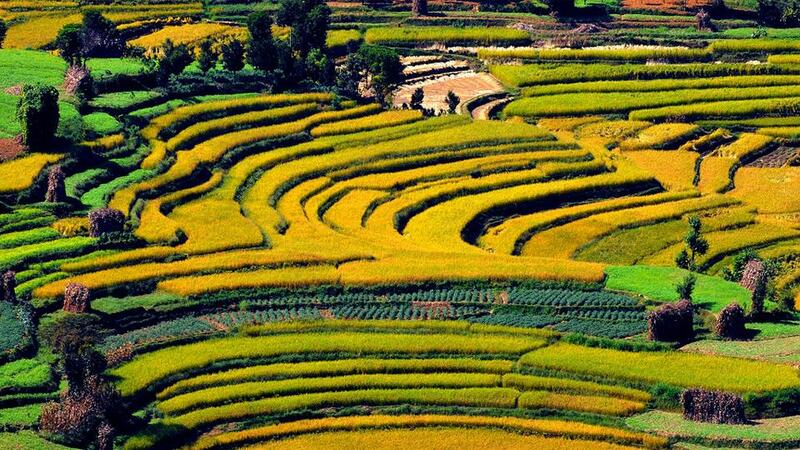 It is popular for the trekkers for abundant natural sceneries and cultural prosperities of ethnic groups. It goes through the Shivapuri National Park and reaches to the Langtang National Park, widely popular as the Helambu region. The spectacular Everest Himalayan range smiles on the background of the Helambu trekking trail. The seasonal flowers, lush forests, Tibetan lifestyles and Monasteris and Chhortens add the charmings of this trekking. The short and spectacular Helambu trekking region is undisturbed and remains virtually unspoiled although it is in nearer distance from the capital city of Kathmandu. The trekking goes through the rhododendron and bamboo forests, magnificent waterfalls and green hills make the trek versatile and multiple features. The views of early morning sunrise and sunset in the evening are special reward in this trekking, especially from the village of chisapani. The rock formation and terraced landscape are amazing on the trail. It is less crowded and unpolluted. The trek leads forward crossing the Chisopani, Kutumsang, Thadepati and Sermathang villages. The trek ends at the Melamchi Pul Bazar in the Helambu region after spending an exploration day in Sermathang. Visiting the Buddhist monasteries, Chhortens and everyday lifestyles of ethnic groups like Tamang and Sherpa bring you closer to the Nepali traditions. 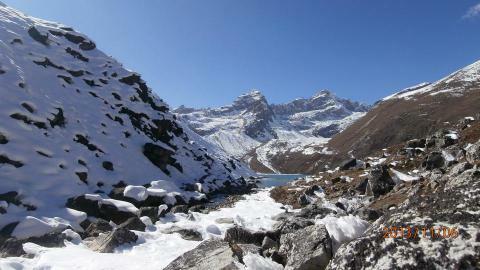 The trek can be extended up to the Gosaikunda and Langtang Valley if you are more interested in the adventure walk. All the seasons are suitable for the short and exciting Helambu Trekking. In a short time, you can explore natural and cultural diversities. The ever smiling people on the trekking route persuade you to visit again the locality. For more details, please contact Namaste Treks Company, who is a leading trekking and tours organizer in Nepal. Exciting trekking through the ethnic villages. 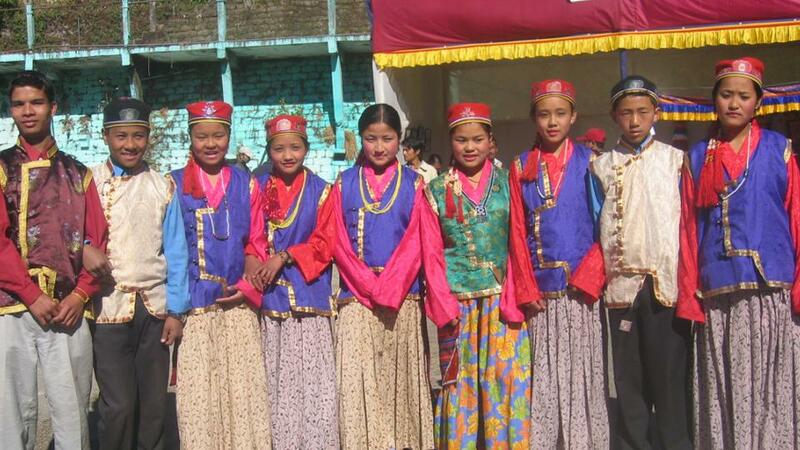 Explore Sherpa ethnic culture and lifestyles. Watershed area in Shivapuri National Park. Day 03: Drive to Sundarijal and trek to Chisapani (2300m). Day 04: Chisopani to Khutumsang (2470m). 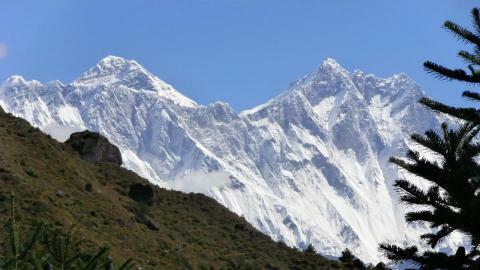 Day 05: Khutumsang to Tharepati (3490m). 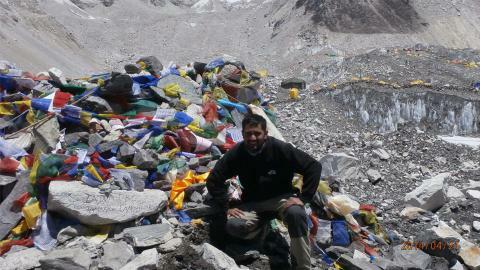 Day 06: Tharepati to Tarke Gyang (2620m). Day 07: Tarke Ghyang to Sermathang (2620m). Day 09: Sermathang to Malemchi Pul Bazar (846m) and drive back to Kathmandu. After breakfast, we set off for the Kathmancu city sightseeing tour. 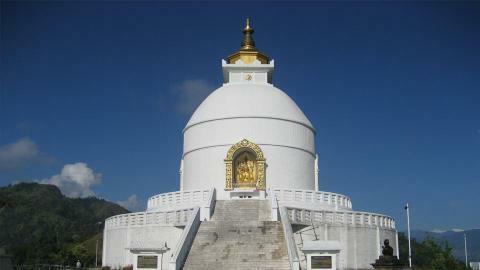 We visit the famous Hindus and Buddhista’ monuments that are also enlisted in UNESCO world heritage sites. They are Pashupatinath (the greatest pilgrimage site of Hindus), Bouddhanath (Buddhists’s Stupa), Swoyambhunath (Buddists’s Stupa) and Kathmandu Durbar Square (where the living goddes lives). Back to the hotel and prepare for the treks. O/N at Hotel. After breakfast at the hotel, we drive 15 km north east from Kathmandu to our trekking starting point Sundarijal. 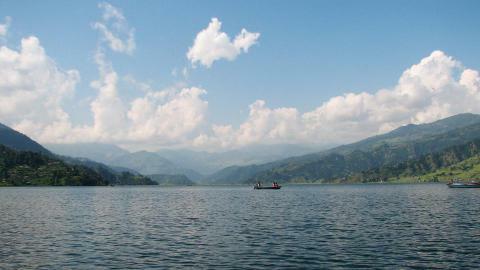 We can visit the nearby watershed area in Shivapuri National Park. It is the place of water source in the Kathmandu Valley. After taking rest for sometimes, we head further to a beautiful village- Chisapani. O/N at Lodge. After breakfast at the lodge, we walk towards the Pati Bhanjyang. It is a small but beautiful village. After sometimes trek down, we reach Gul Bhanjyang. Following the rugged trail, we gradually ascend to the Khutumsang. O/N at Lodge. 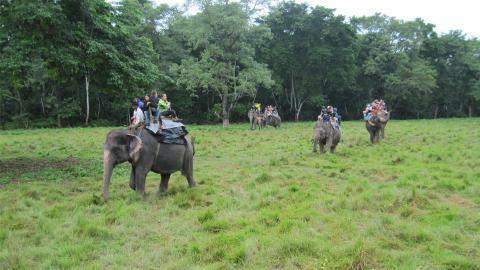 After breakfast, we walk through the farm lands and less settled area and forested region to the Magen Goth. 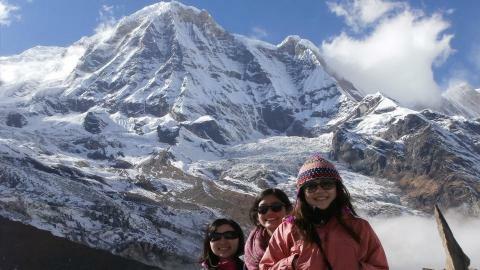 Wow, the views of Langtang and Gosaikunda Peak are stunning on the background. It is quiet tough ascend but thrilling too. 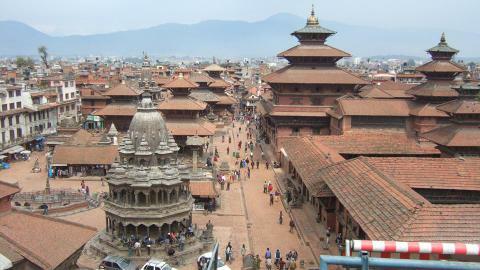 With the exciting views, we continually walk to the Tharepati. O/N at Lodge. Today, we descend steeply to the small Sherpa village of Malemchigaon. We head through the terraced landscape and farm lands. Melamchi Gaon is surrounded by the attractive Gompa. Then we descend continually to the Melamchi Khola and cross the bridge. Then the gradual ascend leads us to the large village of Helambu region- Tarke Ghyang. O/N at Lodge. After breakfast, we gradually trek down to Sermathang from Tarke Ghyang. The trail is fantastic due to its surrounding landscape and lush villages. We head through the trail of apple garden and the Himalayan views are outstanding. Slowly, we reach Sermathang. O/N at Lodge. Today, we rest at the Sermathang. In this day, we visit the local sttlement. We have an opportunity to eplore the local culture, costumes, rituals, know about the festivals and exchange the cultural experiences. If it is the festival time, the whole village enjoys on celebrating by their own customs. Back to lodge and rest. O/N at Lodge. After breakfast, we descend to Dubachaur. Then we climb down further to Malemchi (830m). We meet the road here and it has got basic facilities of accommodation. Following the roadway, we drive all the way to Kathmandu and transfer to the hotel. O/N at Hotel. After long days of our accompaniment, we bid you farewell today. Or move to another place if we have more itineraries to do or extra activities. If we don’t have, our representative drops you at the international airport for your departure. Thanks for joining us for your memorable trip. See you.